Think about the deepest place you have been with the Lord recently. If you have a troubled heart, you are probably crying out to Him. If you have a conflicted heart, and you don’t know what to do, you are probably seeking His wisdom. If you missed the mark and know it, you are looking for redemption. At the heart of our conversations with God, we get to a place where we know He is real. The person of God comes close and . . . gives you rest from your tears . . . gives you answers that you did not expect . . . gives you a path for redemption. I am talking about that place, when you know deep in your soul, that He has taken you somewhere close to His holiness. And, for that walk of your life, He changed everything. This past spring, God gave me the fantastic idea to take off from work Fridays over the summer and spend the time with Him. That request shook my feeble heart. At the same time He offered me the invitation to be with Him, He gave me a new friend. Since she was a new friend, we could not stop talking about who we are and how we got there. Sort of like speeding up the friendship so we can get real, fast. At the same time God gave me my Friday invitation, He also gave me Madison’s mama on a week long camping trip. One evening, we sat in the dim light of the cafeteria, and she told me the story of how God recently showed up big beyond her wildest imagination. Part of her story had to do with specific sums of money showing up in the exact amount of her dire needs. As I am listening to the ins and outs of her God story, I start to cry. Pretty loud crying in a pretty quiet place. I feel the Lord impressing upon my heart – – He gave me this extraordinary story of trust, so that I can do the take off Friday thing. After sharing God’s invitation with my accountability partner, LeAnn’s mama, she told me to trust God and do it. So, what did I do? I didn’t take off one single Friday this summer. We had a couple of vacations that brought me out of the office on Friday, but every time I had the chance to trust God with my time and money making hours, I didn’t. I just didn’t. My excuses included, 1) what would my employees think about my work ethic, 2) will people think I am lazy or absent from my responsibilities, 3) do I really feel comfortable claiming that type of time for myself and 4) what will really happen if I obey, it probably doesn’t make a difference anyway. Rather than come up with a bunch of cuss words to describe my excuses, I’ll just call them what they are – – sin. Now, a few weeks after summer’s end, I find myself seeking God for that deep, deep place. I hear Him challenging me to not just get to the deep places of His holiness, back off and start again later. But go to the place of depth and seek Him to push beyond. I see that place in my mind and heart like a carrot waving in front of a rabbit. The drawing feeling of something you are about to enter and you are just about to turn the key. Like the first time the girl enters the Secret Garden. The Lord is just waiting for me to enter into the garden of His depth. I think that my summer was supposed to be about that. So, all of this about me, to say to you, that I am sure that there is something you are holding on to. I am sure of that because we are not in heaven. You have a lot of excuses like I do. Some come across as very justified, but they are not. 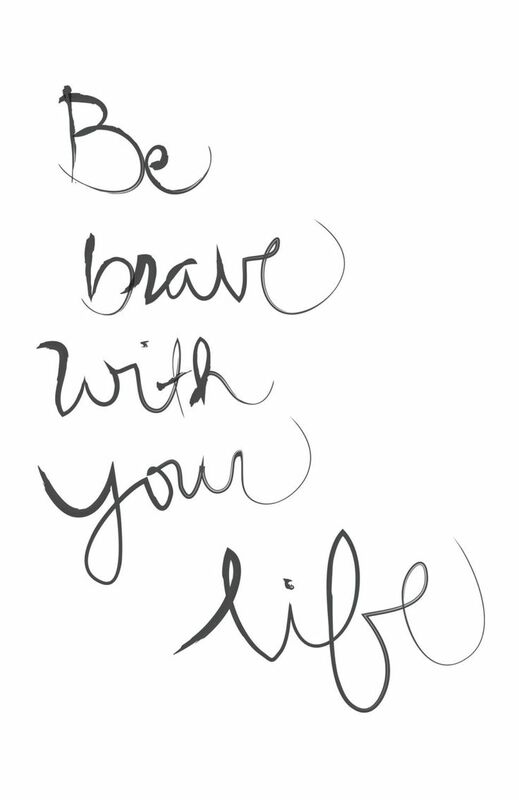 I know for a fact that you are braver than me and can let go of the thing, go do the thing, step out into the thing . . . before the thing expires. You don’t need to wait anymore to do the thing you are supposed to do. Please do it. And, after you do, tell me all about it. I’ll be encouraged to the thing He calls me to do. At the very next redemptive opportunity. Earlier this week, one of you shared with me that you were holding onto an email that should have been sent last year. You were just too “chicken” (in her own words) to press send. You were inspired to put away your excuses and press SEND! You are awesome girl! I can’t wait to hear what the Lord will do with your step of faith! Another one of you girls told me that you were “convicted” to not give up on broken relationships in your family and to start a project you hadn’t yet. Your pastor did a sermon on no more excuses to nail down the point of “don’t wait to do what God has planned for your to do.” Let’s keep encouraging one another to do what God calls us to do. I love you girls! Until we see Him face to face, we need the quiet space to hear Him speak. Thank you for reminding me even now of the importance of that.